The Great Plains is a Great Destination for your next vacation! 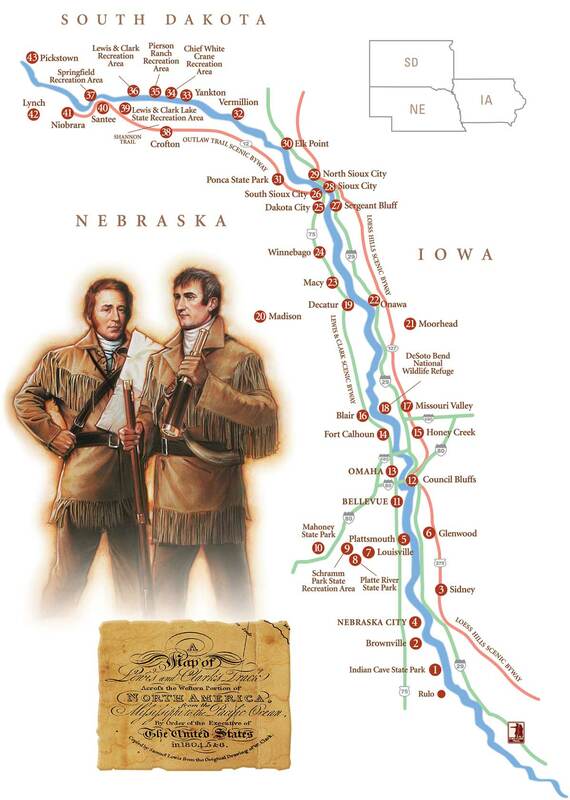 Scroll down the page to view a comprehensive listing of must-see attractions along the Great Plains portion of the Lewis and Clark trail. 6 miles south of Sidney. Camping, day-use cabins and lodge, shoreline fishing. 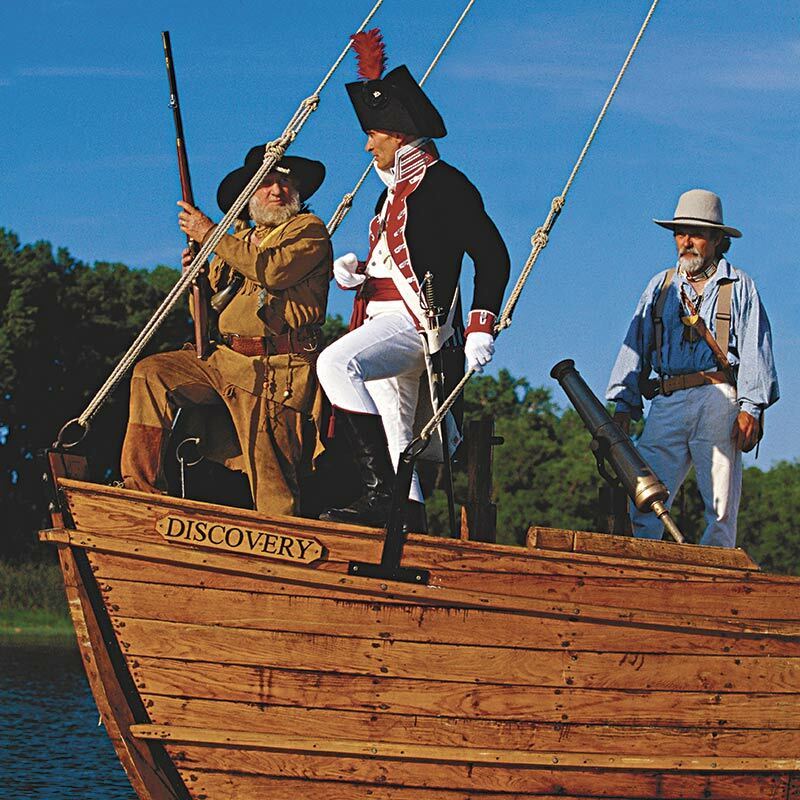 Featuring wildlife of the west, keelboat display, historic re-enactments and the Lewis & Clark Commemorative Stamp Collection. Nebraska City also features the J. Sterling Morton Arbor Lodge State Historical Park and Arboretum, Lied Lodge, Arbor Day Farm Tree Adventure, Kimmel Orchard and Vineyard, the Kregel Windmill Museum and the Old Freighters Museum. Riverview Marina State Recreation Area provides camping and boat access on the Missouri River. Visit Schilling Wildlife Management Area to see the Mouth of the Platte River. Louisville State Recreation Area at Louisville on NE-50. Features modern campgrounds, camping pads, swimming, fishing, picnicking, hiking, canoe access to the Platte River. Near Louisville on NE-50. Features include modern cabins, conference facilities, seasonal restaurant, teepee village, lodging, swimming, hiking, paddle boats, archery, horseback trail rides, Platte River viewscapes, and some of the best bike trails in the area. 6 miles south of I-80 exit 432. Home of Ak-Sar-Ben Aquarium & Museum. Just off I-80 at Exit 426. 690-acre state park overlooking the Platte River features lodge, group and conference facilities, modern cabins, 149 modern camping pads, full service restaurant, dining, family aquatic center, water slides, wave pool, sports fields, trail rides, crafts, fishing, picnicking, hiking, 70-ft. observation tower, nature conservancy, and live theater. Year round activities. Lee G. Simmons Conservation Park and Wildlife Safari, near Eugene T. Mahoney State Park, is a wildlife adventure amidst herds of buffalo, elk, deer and antelope, and a walking trail where you’ll see wolves and bears. The Strategic Air & Space Museum is nearby. Western Historic Trails Center, Lewis & Clark Monument, Union Pacific Railroad Museum, Kanesville Tabernacle and Bayliss Park. 2 ½ miles south of I-80 at Council Bluffs’ Exit 47 features a 772-acre lake formed by Missouri River Oxbow. Fishing, premier boating, paddleboats and beaches. Site of Lewis & Clark’s White Catfish camp at the Western Historic Trails Center. Downtown area includes: Lewis & Clark National Historic Trail Headquarters and Visitor Center, Joslyn Art Museum (Bodmer Collection), Durham Museum, Bob Kerrey Pedestrian Bridge, Lewis & Clark Landing and Riverfront Trail, Heartland of America Park, Spirit of Nebraska’s Wilderness/ Pioneer Courage sculptural parks, the Old Market and the CenturyLink Center. South Omaha includes the Henry Doorly Zoo, Lauritzen Gardens & Kenefick Park. 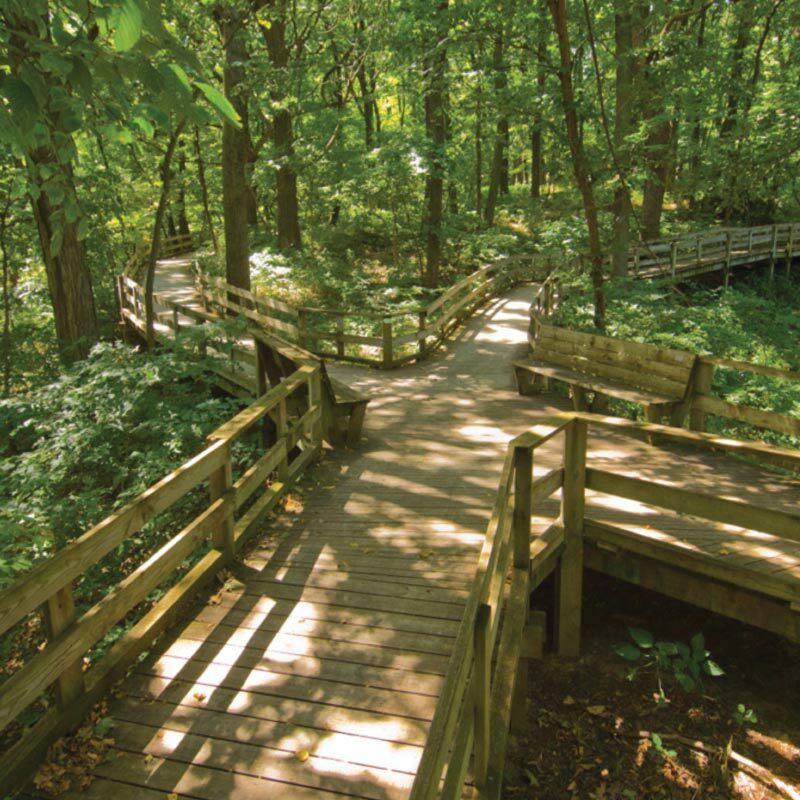 North Omaha includes Freedom Park, Miller’s Landing, Mormon Trail Center and NP Dodge Park & Marina. 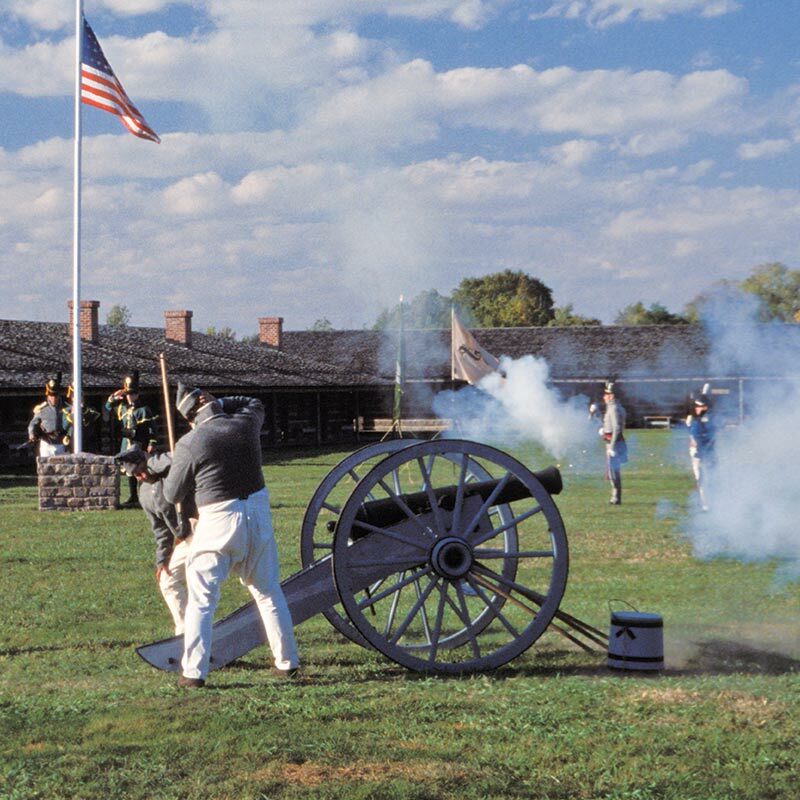 Fort Atkinson State Historical Park, a recreated 1820’s frontier outpost with re-enactments and demon- strations, displays, artifacts and theater; the Washington County Museum, and Boyer Chute National Wildlife Refuge. Site of First Council between Lewis & Clark and the Otoe and Missouri Native Americans. Tower of the Winds Monument, Cottonwood Marina and Riverfront Park. Harrison County Historical Village & Iowa Welcome Center. has hiking, cross-country skiing, campgrounds, cabin rental. On the Missouri River. I-29 to Exit 75 to US-30 westbound. Geese and other migrating birds including bald eagles stop here annually. Visitor Center features exhibits of artifacts retrieved from the Bertrand Steamboat. Summit Lake State Recrea-tion Area on Hwy 32 east, includes camping, fishing and hiking. Missouri River access and camping at Book Park in Decatur. 13 miles south of Norfolk at US HWY 81 & NE HWY 32. Home to the Madison County Museum with Western Settlement History, Orphan Train Research Learning Center and Carnegie Library Learning Center. Loess Hills Hospitality & Visitors Center. – hike in-camping, trails and picnic shelters. 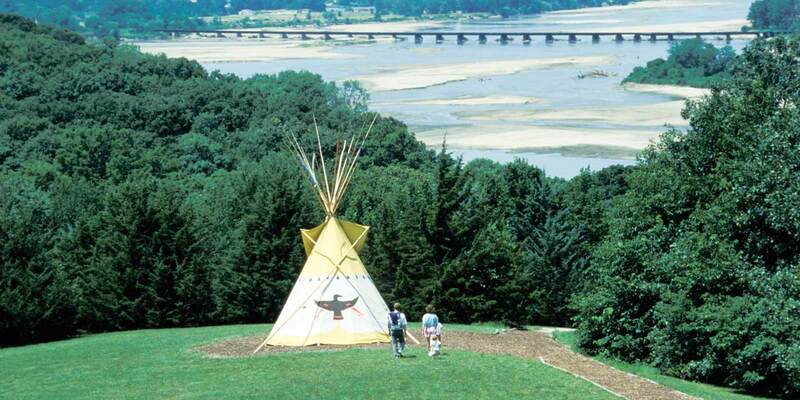 Lewis & Clark Visitors Center – Keelboat display and re-enactment area. features a 250-acre Blue Lake with boat ramps, beaches, swimming and fishing. Omaha Indian Reservation, Blackbird Hill Scenic Overlook, Annual Powwow. Lewis & Clark paid tribute at the grave of Chief Blackbird. 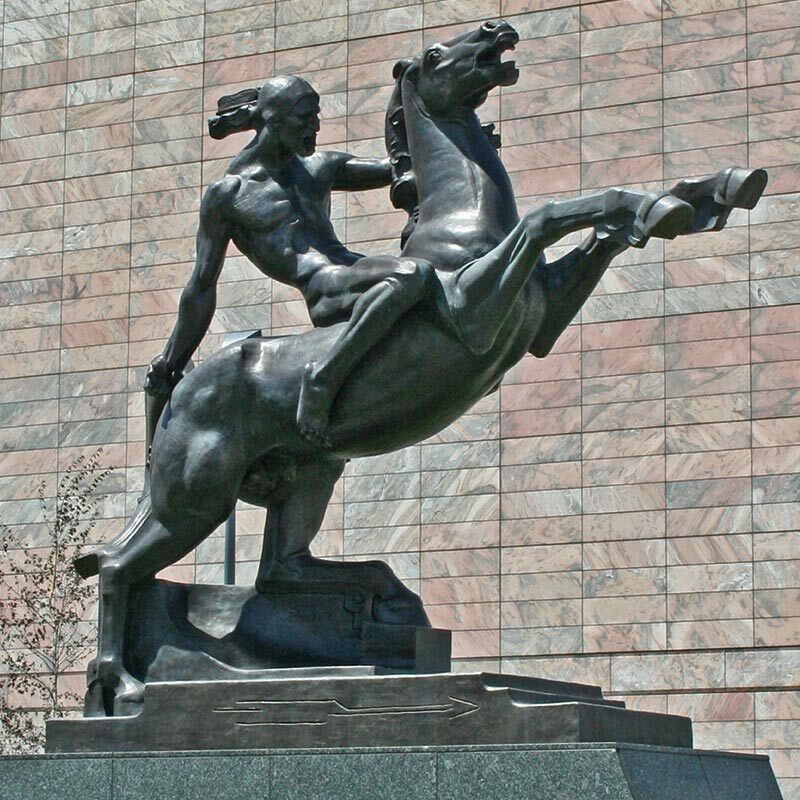 Winnebago Indian Reservation, Woodland Trails, Honoring-The-Clans Sculpture Garden and Cultural Plaza, Cultural Center & Museum, Annual Powwow. , Dorothy Pecaut Nature Center, R.D. Station, Fourth Street Historic District, Sioux City Arts Center, Sioux City Public Museum, War Eagle Monument, Trinity Heights, Anderson Pavilion/Flight 232 Memorial, and the Presbytery of Prospect Hill Monument. Clay County Park and Adams Homestead and Nature Preserve – Exit 4 off of I-29 at North Sioux City on the Missouri River. Pioneer homestead buildings, interpretative exhibits, and hike/bike trails. 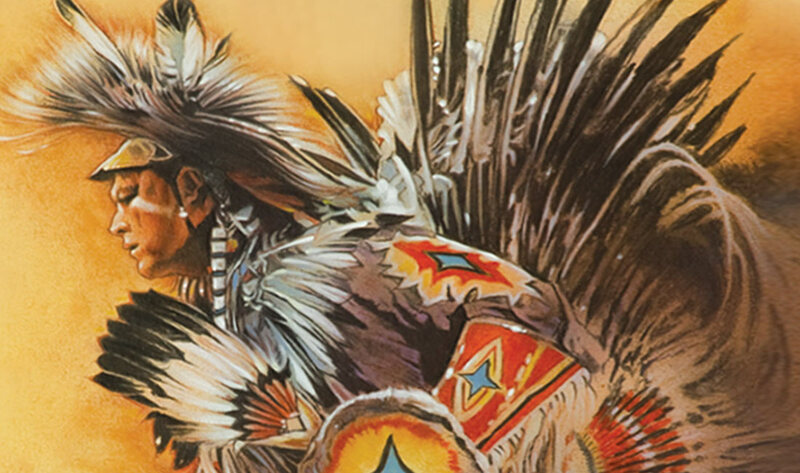 Elk Point Heritage Park, 7 Nations Memorial Park, Lewis & Clark Heritage Days. Vicinity of Patrick Gass Election Lewis & Clark Site. 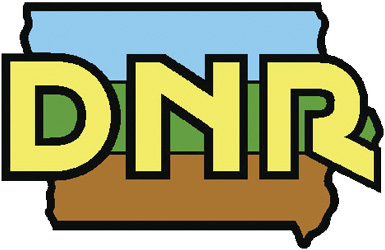 Ponca State Park – Gateway to the Missouri National Recreational River. 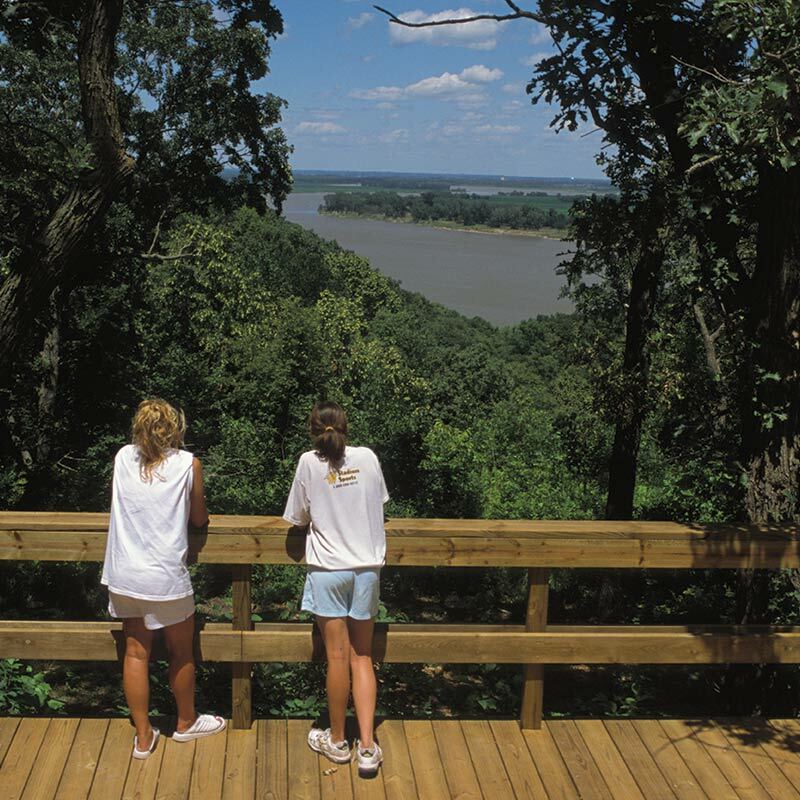 2,166-acre park features interpretative programs conference and educational center, modern cabins, scenic trails, modern campgrounds, horseback trail rides, swimming pool, special events, hiking, picnicking, golf course, and boat ramp access to the Missouri River. Lewis & Clark climbed the mound on August 25, 1804, one of the few places that we know the exact location where they stood. Lewis & Clark Visitor Center, Gavins Point Dam and Spillway, Dakota Territorial Museum. The Gavins Point National Fish Hatchery and Visitor Center. Pierre Dorian Monument Lewis & Clark Site. West of Yankton on the Missouri River features camping, boat ramps, picnic shelters and playground. Majestic bald eagles winter here. West of Yankton on the Missouri River features camping, camping cabins, picnic shelters, and playground. Resort and Marina includes motel, cabins, swimming pool, restaurant, slip and boat rentals. 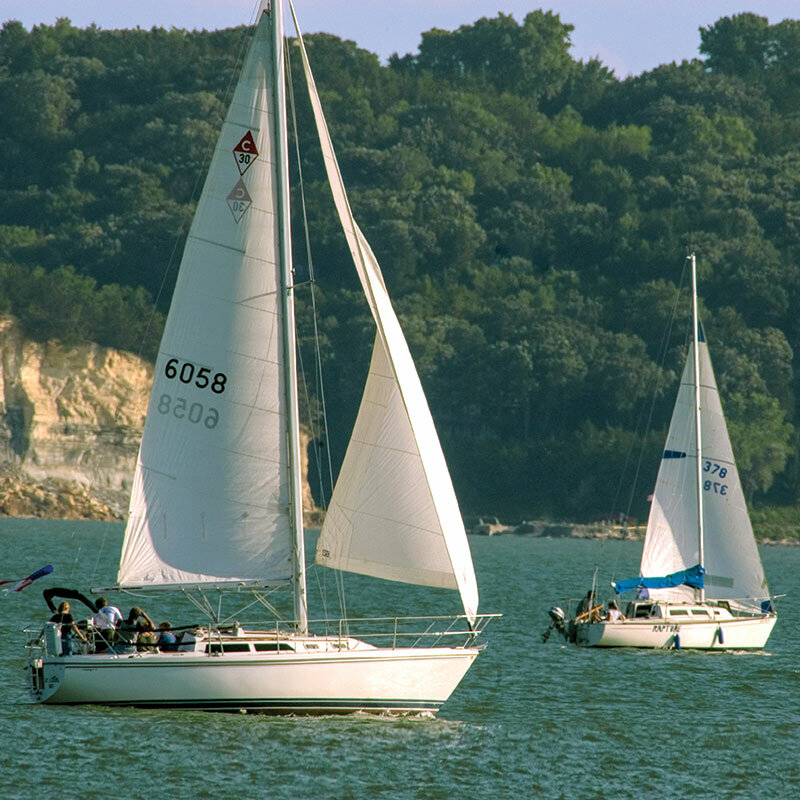 Activities in the recreation area include camping, hike/bike and horseback riding, fishing, power and sail boating. Adjacent to Springfield on the Missouri River. Includes camping, cabins, boating and fishing plus nearby 9-hole golf course. Springfield Historical Society Museum is nearby. Lewis & Clark Lake, Shannon Trail experience. Lewis & Clark’s Pvt. George Shannon was lost for 15 days in the area. 4-miles west of NE 121 & R54C. 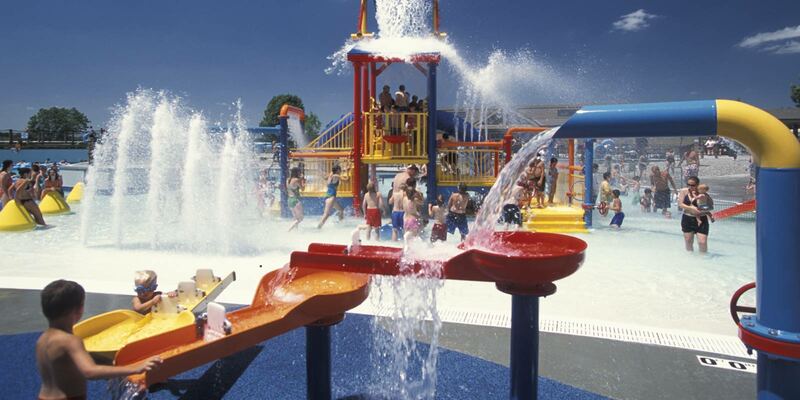 Includes 5 recreation areas: Weigand-Burbach, Bloomfield, Miller Creek, Deep Water, and South Shore. 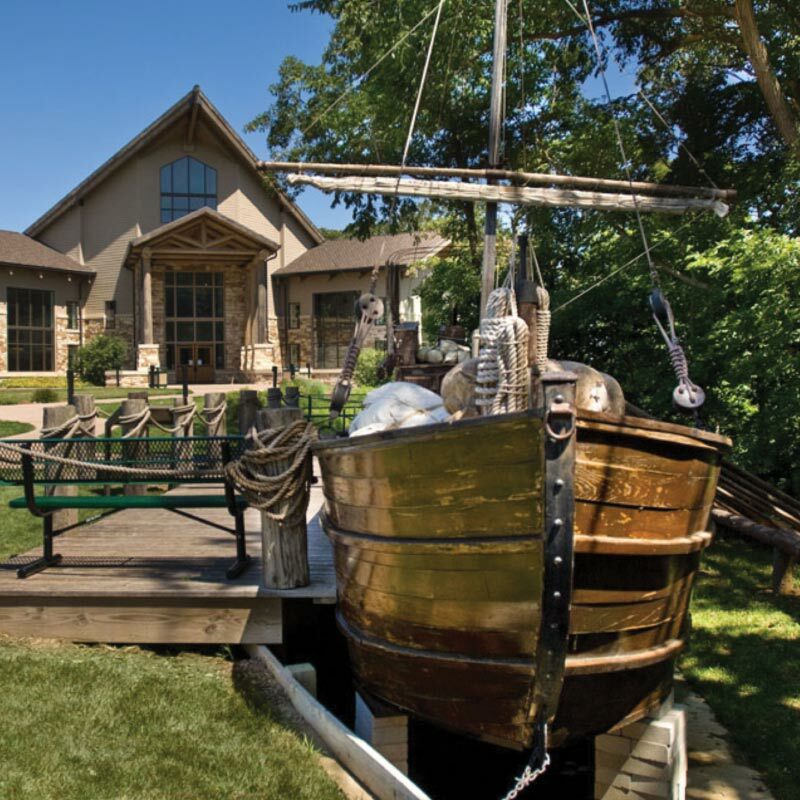 Weigand-Burbach has full service marina, modern cabins, camping, boat ramps, playgrounds, etc. Other sites have boat ramps, modern campgrounds, hiking, horseback trail, etc. Santee Sioux Indian Reservation, annual powwow. Kreycik Riverview Elk Ranch, Ponca Tribal Museum, Chief Standing Bear Memorial Bridge Turnout. Niobrara State Park – at NE-12. 1,314-acre park features modern cabins, group conference facilities, modern campgrounds, swimming, horseback trail rides, boat access to the Missouri River. 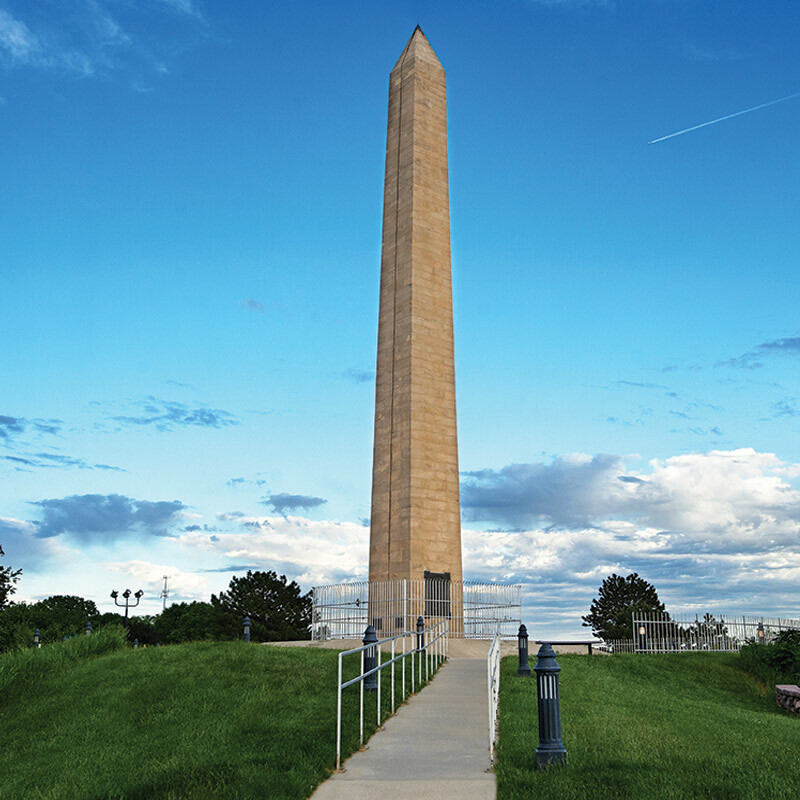 Lewis & Clark first saw prairie dogs at “Old Baldy Landmark” near Lynch, NE. Fort Randall Dam and Francis Case Lake, Fort Randall historic military post site, Yankton Sioux Indian Reservation, annual powwow. Randall Creek Recreation Area includes, camping, fishing, boat ramps, picnic shelter and playground.